A recognized dental CAD/CAM innovator and market leader for more than 25 years, Sirona continues to provide dental professionals with products and innovations that deliver the best in convenience and reliability. 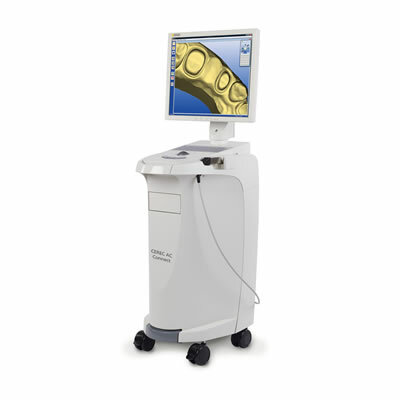 Sirona's new CEREC AC Connect is no exception. The CEREC AC Connect represents a new standard in CAD/CAM technology. Now, dental professionals can scan and send digital impressions to the inLab dental laboratory of their choice without additional scanning fees. In addition, the CEREC AC Connect delivers the fastest acquisition speeds on the market and the fastest return on investment, according to the manufacturer. At the heart of the CEREC AC Connect is the Bluecam. This camera uses a powerful light-emitting diode (LED) to capture digital impressions. The Bluecam's optics have been optimized for a higher depth of field and accuracy, and have been coupled with increased computing power to display crisp, detailed digital impressions. Providing the ultimate in convenience, the Bluecam can capture fullarch impressions in just 2 minutes. Dental professionals can easily transfer digital impressions between CEREC AC Connect practices and inLab laboratories via CEREC Connect. The world's largest digital dental network, CEREC Connect gives dental professionals access to thousands of inLab laboratories via a virtual web portal. With the CEREC AC Connect, patients benefit from an impression material'free experience and less time in the chair for a more comfortable and better-fitting final restoration. In addition, with CEREC technology, dental professionals can upgrade and connect to an in-office milling unit at any time.